The need to travel has become so deeply ingrained within me that when I go too long without setting foot in someplace new I become restless and a bit depressed. I know I’m incredibly lucky to have traveled to so many places on this beautiful planet, but from my first solo trip in Australia to my visit to 25 countries while living in Europe last year, the more I’ve traveled, the more painful it has become to not have travel plans. Somewhere along my road of rambling I’ve unquestionably become addicted to the pursuit of being somewhere I’ve never been before. I believe that human beings are like the horses I recently learned about with Discovery Horseback Tours. We are wild animals who are not meant to live our lives in cramped stalls (AKA sitting at this desk), but instead roam free in rolling green pastures. And for me personally there are no finer pastures than those I find in my quest to explore far off lands. A recent particularly long stretch of desk sitting, combined with the start of the rainy season in Costa Rica and reading this article about the negative effects of sitting at work for more than four hours a day, left me feeling particularly restless. I was in need of a trip to jump start my spirit, and lucky for me, I found a low cost ticket to Guatemala City with Avianca Airlines that coincided with a three day weekend at work. 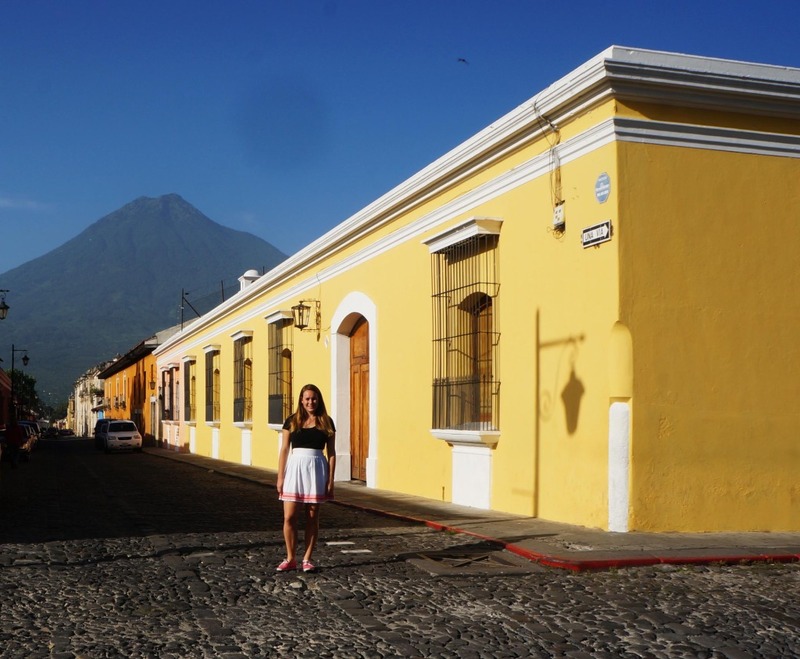 I needed to travel to restart my spirit, and oh, how Guatemala filled me with life! Though my visit was short, Guatemala managed to snag the honors of being the favorite travel destination I’ve visited in Central America. 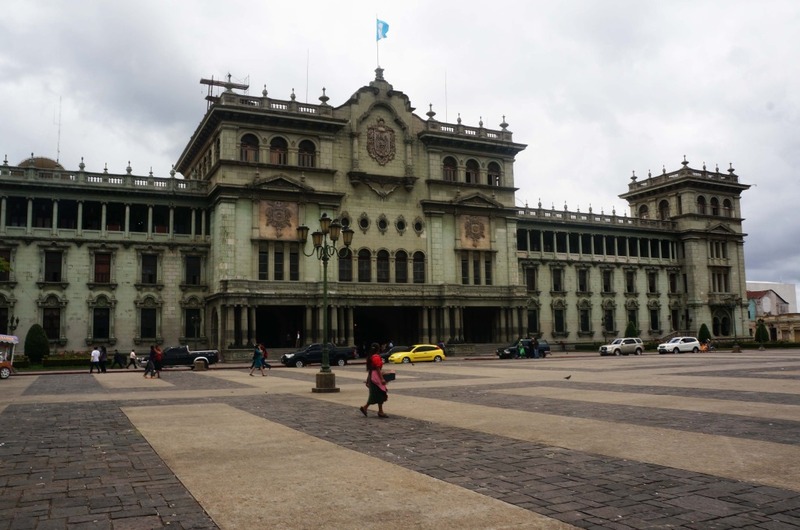 Unlike Costa Rica, Central America’s capital of peace, Guatemala hasn’t had the easiest history. A 36-year long civil war which killed 200,0000 people ended in 1996. Nor is its current political situation very positive. Protesters successfully forced the country’s former Vice President Roxana Baldetti to resign after a United Nations commission recently exposed a multimillion-dollar network of customs fraud that involved high-ranking government officials. 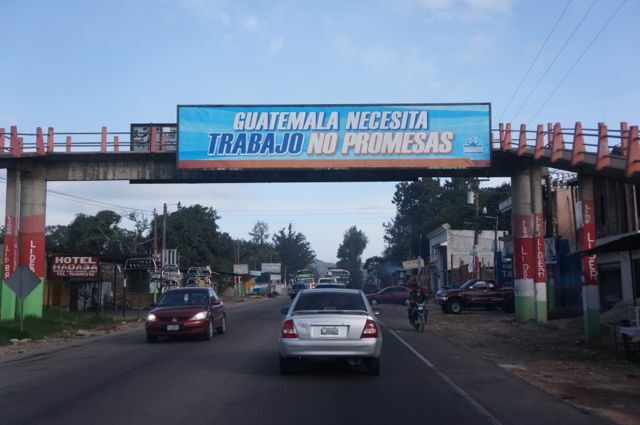 Though Guatemalans may have found a minor victory in the resignation, most in the country feel hopeless and that whoever succeeds her, or the president whose term comes to an end in six months, will be equally corrupt. Despite this dark history, the people of Guatemala have a resilient spirit. The people I interacted with were all incredibly kind, welcoming and taught me a lot about the power of rising from the ashes of one’s circumstances. Guatemala is the heart of the Mayan world and home to 21 different language groups, making it an incredibly unique place to learn about living Mayan cultures. 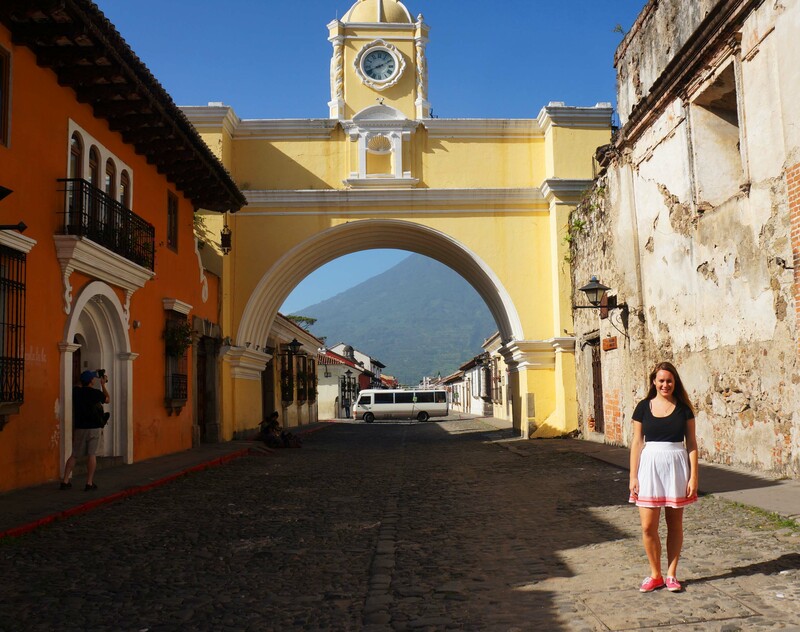 During my visit I also found my senses brought to life by the rich colors of colonial and modern architecture, flavorful local dishes and music-filled streets, Overall I found the country to be a top notch travel destination to learn about history, witness breathtaking scenery, and experience new cultures. I’ll be posting more about my experiences in detail, but to start things off I wanted to share some tips on how to see the best of Guatemala in three days. Sure, in an ideal world we could wander this country to our heart’s content. But if the office is calling and you can only manage to escape for a long weekend like me, you can still see the best of the country in three days. Settle into your chair, listen to this sampling of Guatemalan Marimba music on Youtube and read on! With a population of more than 4.5 million, Guatemala City is the largest city in Central America. Most the guidebooks will tell you it is some combination of dirty, unremarkable, dangerous and not to be visited. True, the city probably won’t be winning any awards for the world’s most beautiful city anytime soon (though it was once known as Little Paris), but that doesn’t mean it isn’t worth a visit. Don’t listen to all the negative hype. If you are visiting Guatemala and want to get a proper feel for what the country is really like, you must visit the capital. It’s true some parts are not safe, but if you go with a tour guide you will be fine. Experiencing the city with a guide will also help you to learn more about the current political and social situations the country is facing as well as the city’s history. 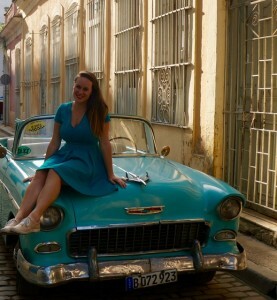 I recommend booking a tour with Voyageur Tours. They provide custom tours throughout Guatemala. They can pick you up at the airport and show you the city’s most interesting sights including the National Palace, Paseo Sexta Avenida and a century old relief map of the country. 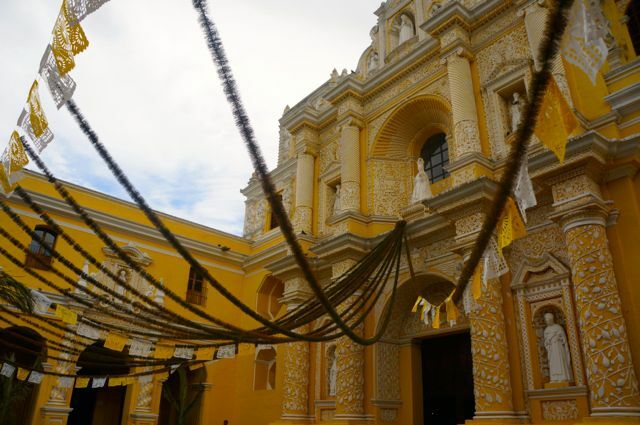 Less than an hour’s drive from the capital, Antigua is the most visited destination for tourists in Guatemala. After just a short walk during one of the streets its easy to see why. The former capital city is a UNESCO World Heritage sight. Cobble stone streets are lined with charming and bright buildings from the 17th and 18th centuries, making the city a gem of colonial architecture. 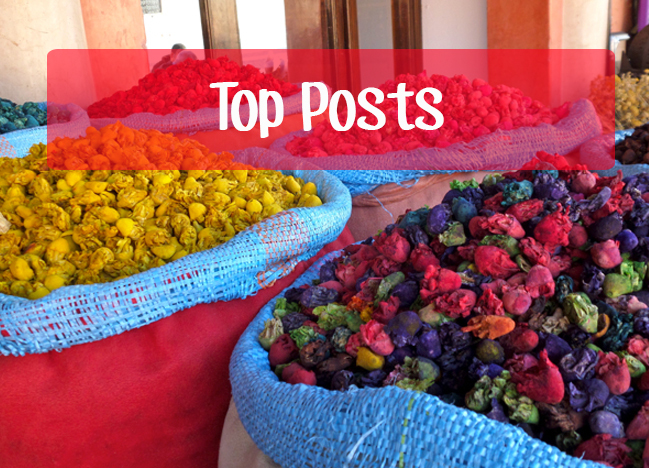 If you are visiting Guatemala for a short period of time, I recommend staying in Antigua. 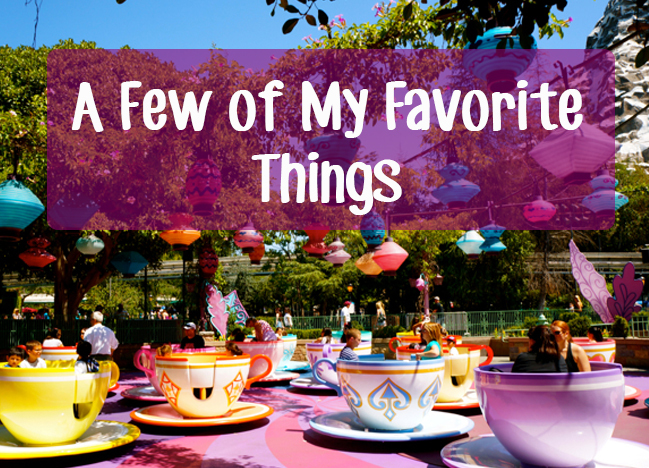 It makes a great base for day trips to some of the country’s highlights. Looking for a welcoming cozy place to stay? 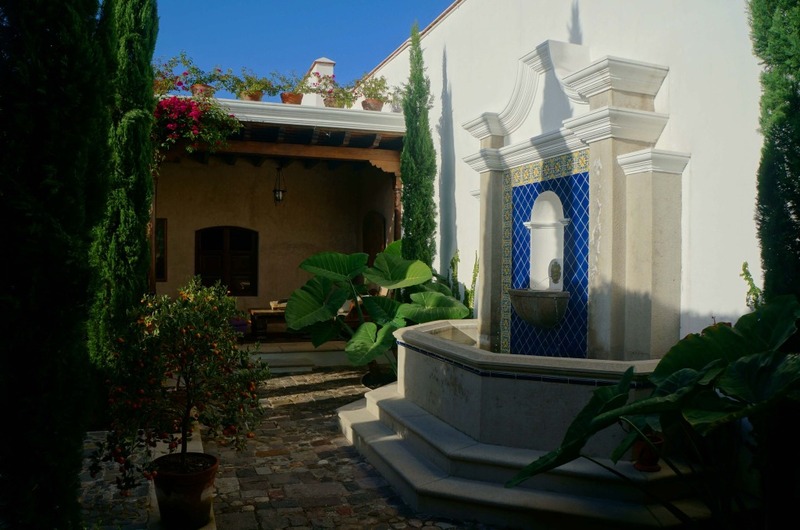 San Rafael Hotel has a convenient, central location, quaint gardens and a super friendly staff. Read more about my stay here. The Lonely Planet Guidebook calls Lake Atitlán “the closest thing to Eden on Earth.” Indeed, the deepest lake in Central America is renowned as being one of the most beautiful in the world. The deep blue shores are surrounded by Mayan villages. 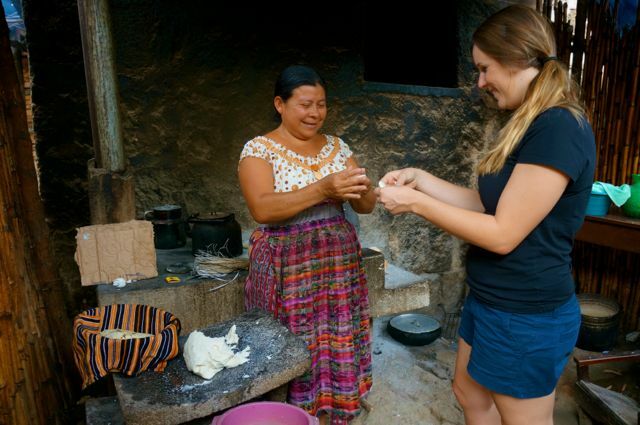 On the Voyageur Tours day trip to Lake Atitlán, you get to visit four of the villages to learn about the history and interact with locals to learn about Mayan traditions that are still being practiced today. Locals will tell you you need at least three days (or a lifetime) to take in the beauty of the lake, but with a knowledgeable guide, you’ll be able to visit the highlights in a day. Read more about my visit to Lake Atitlán here. 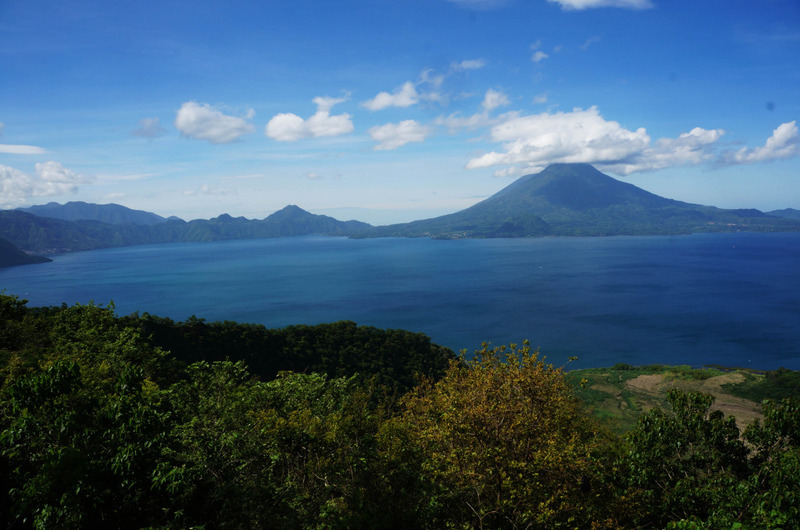 Guatemala is home to 22 volcanoes, three of which are active. 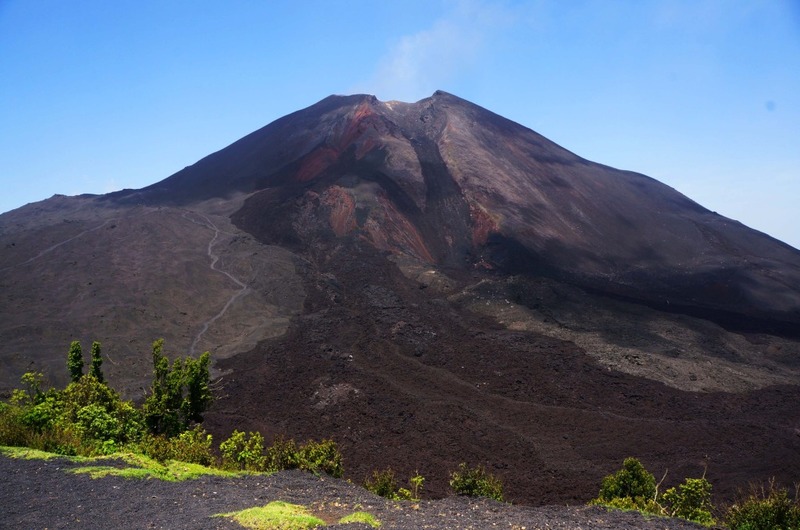 You can hike Pacaya, which is actually a volcano complex, on a day tour with Guatemalan Adventure. Pacaya last erupted in 2010 and is the most active volcano in the country. You can get remarkably close to the crater on this tour and even roast marshmallows on the hot rocks near the base of the crater. 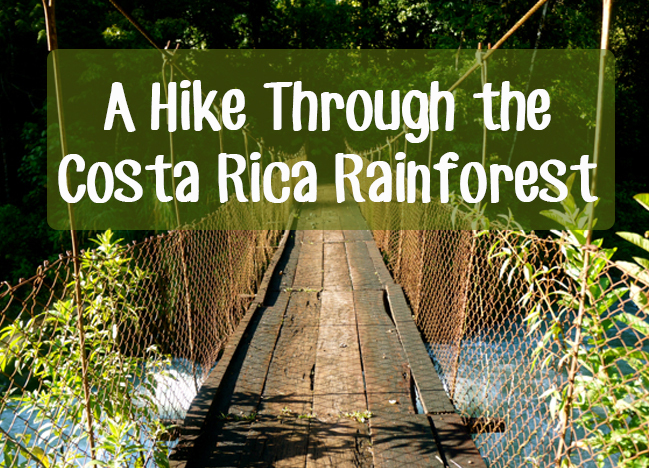 Read about my hike of Pacaya Volcano here. If you have more than three days to discover Guatemala, you will definitely want to add Tikal National Park to your itinerary. This was one of the largest and most important cities of the Mayan Empire during the Classical Era. (It was also used during film scenes in Star Wars). Tikal is an eight hour bus ride from Guatemala City, or you can fly there and take a day trip. Another place I wish I had time to explore was Petén. This department was the birthplace and heartland of the Mayan civilization and is full of ruins. local hotel takes credit card? How much cash were you bringing? 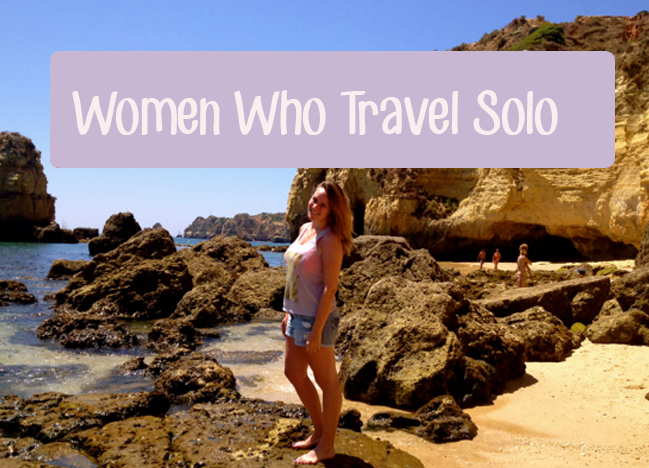 I’m going to ba a solo female travel around Guatemala for 5days. Would be very helpful to get some info like that before hand. Look forward to hear back from you ! 1) Yes I traveled as a solo traveler to Guatemala. 2) Miguel of Voyageur Tours was my guide around Guatemala. Voyageur Tours provides customized itineraries for tours around Guatemala. To book a tour with them, visit their website or email info@cometoguatemala.com. 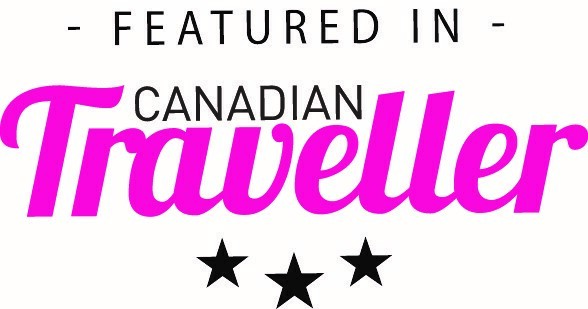 I highly recommend their services – they kept me safe and showed me all the must-sees on a tight schedule. 3) I did not bring too much cash, but used my ATM and credit cards. Hope that helps and have a great trip! Thanks for your reply, Lauren! 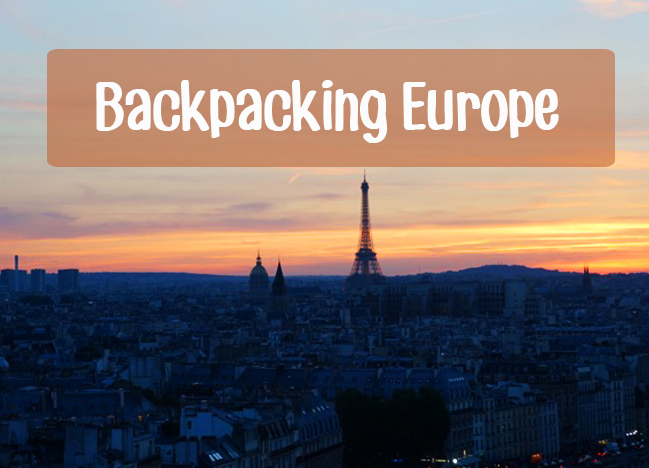 Any recommendation on buying a travel insurance?